Growing up, I never really cared much about my eyebrows until I saw my oldest sister plucking hers. 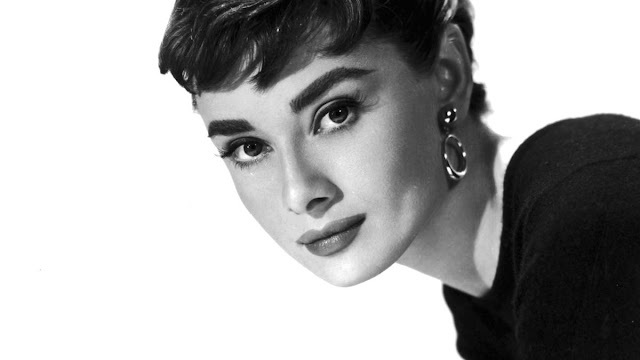 I think it was so cool and always wanted to have the thin plucked eyebrows that she did. I remember being too scared to pluck them (cause ouch), and so I took scissors and trimmed all the hairs short on one brow. I then realized this looked horrible and cried. I then took a marker and tried to color them in, but that just looked terrible. I remember being so embarrassed when my mom realized what I had done, it was not a good day for me haha. After that, I didn't touch my eyebrows (except the uni-brow plucking) until after I was married to Michael and my eyebrows were slightly colored in for my wedding day because the makeup artist did them. Look at those practically untouched brows! 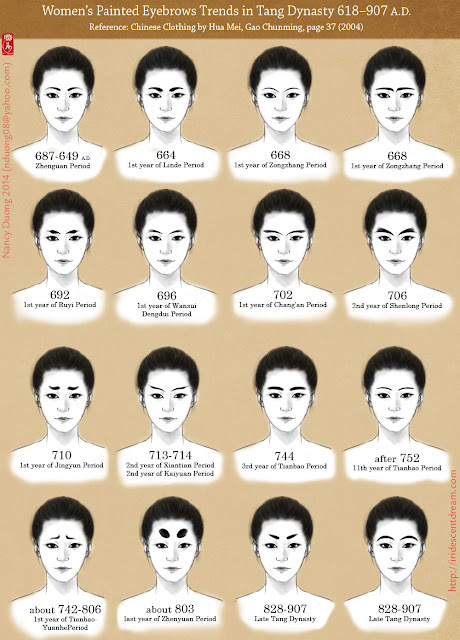 Looking back at the eyebrows of history (here is a good article if you don't want to read what I have to write), I realize that messing with your eyebrows just seems like the natural part of womanhood. The "Darnley Portrait" of Elizabeth I of England, 1575. 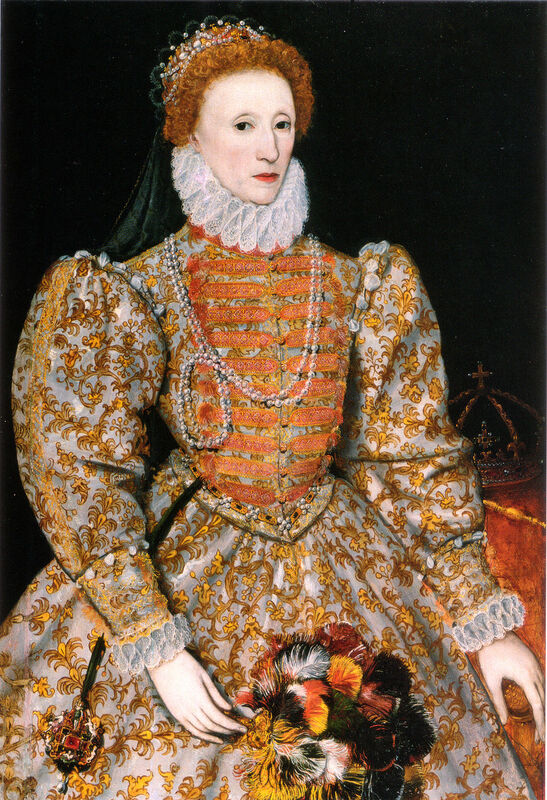 Let's look at Queen Elizabeth I, in her portraits she has no eyebrows. 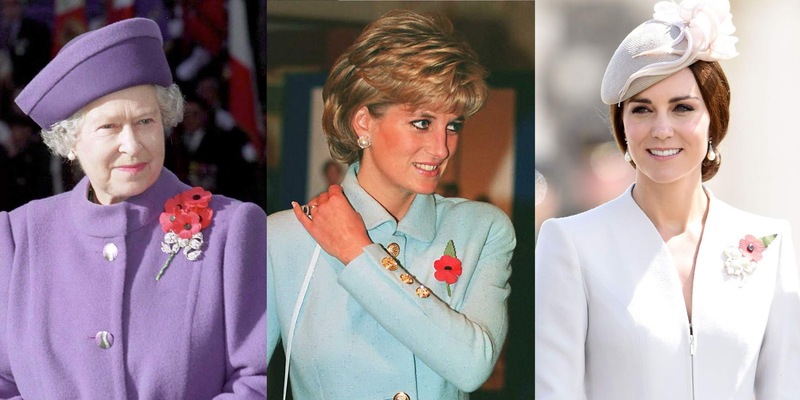 This is possibly because it was a fashion trend, but also because Queen Elizabeth would apply a makeup substance to her skin called Ceruse, which is basically a mixture of white lead and vinegar. 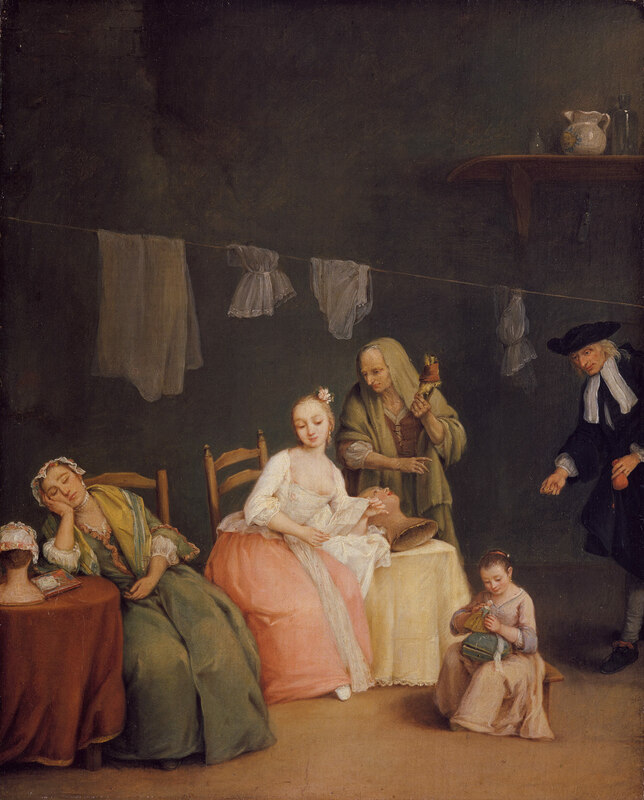 Her maids would apply layers and layers to give her the "mask of youth". This process was damaging to her skin, and probably covered up any eyebrows that she had - even possibly causing them to fall off. 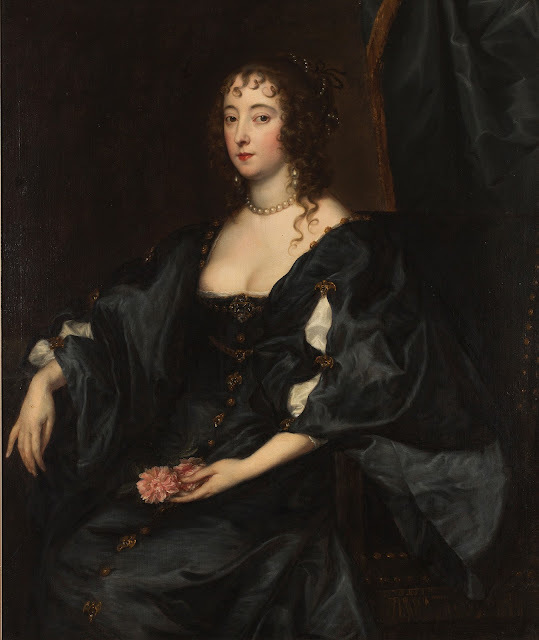 The use of ceruse probably plays into Elizabeth's brow-less portrait, but also it seems like having little to no brows was a popular trend of Medieval-Renaissance period because it made your forehead look bigger, which was a surprisingly desired look for the time. We also can't forget the infamous brow-less portrait of Da Vinci's Mona Lisa (1503). It is still up for debate the brow-less portrait was intentional. 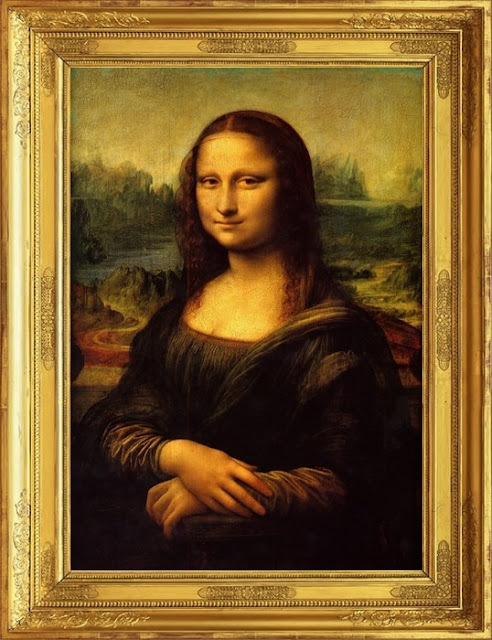 The researcher, Pascal Cotte, discovered in scans that the Mona Lisa used to have eyebrows, and they were possibly removed through the countless cleanings it has experienced. So strange right?? During the 1700 and 1800s, women beauty standards changed and eyebrows were typically "well divided, rather full than thin; semicircular, and broader in the Middle than at the Ends." According to André Félibien, a French historian. You can see the more full brow in the photo above. There has been so many dramatic changes in eyebrows in the last 100 years. We have gone from the shaved off and drawn on eyebrows, to the full natural brows. 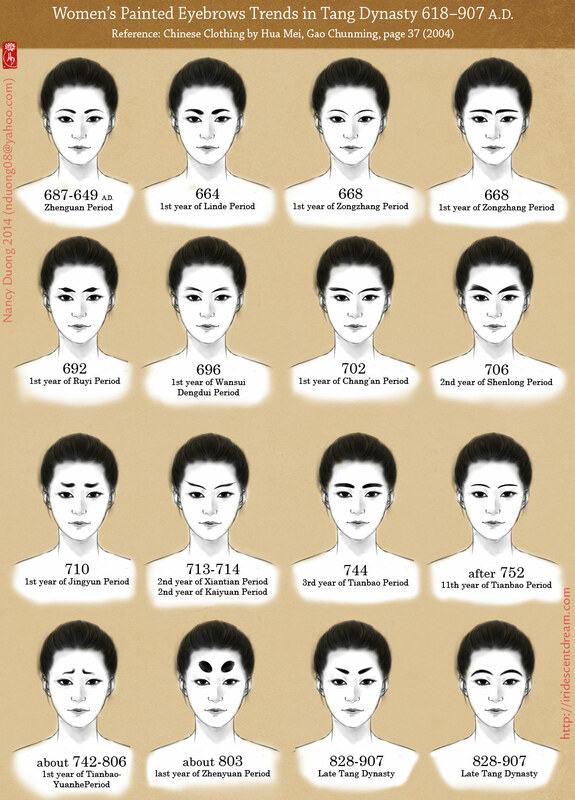 Here is fun video that shows the development of eyebrows through history above ^^^^. Now this is all the western culture, in the east, there are even more eyebrow trends that were being explored. So, brows have gone through a lot in history. I know I didn't touch on everything, but hopefully the video from Vogue fills in some gaps! I am know that I am happy that I don't have to wear my eyebrows like they did in the 1920s! All that plucking! I am very pleased with my eyebrows today and hope you enjoy my tutorial! 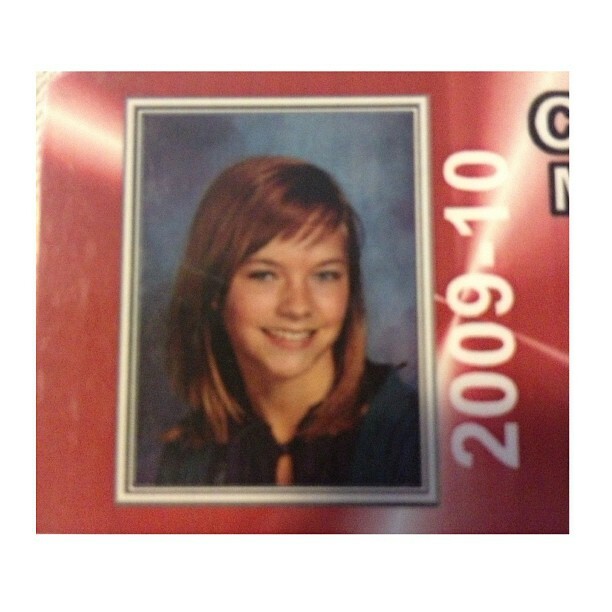 I have been dyeing my hair since I was in the 6th grade. I was blessed with an awesome mother who was willing to let me express myself through my hair. I can still remember when I first got my hair dyed at the Seasons salon in Orem. I remember expecting this DRASTIC change and that I would look like a different person when it was done. I didn't know how bleaching worked and figured that my dirty blonde hair would turn to bright blonde. Unfortunately for me (at least I thought it was at the time), my mom had the foresight to have the stylist only add a few highlights and therefore I didn't notice much of a change. 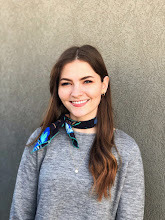 I can still remember the feeling of my heart dropping once my hair was dried and I noticed that my hair seemed to look the same, but after that point I was still hooked on dyeing my hair. 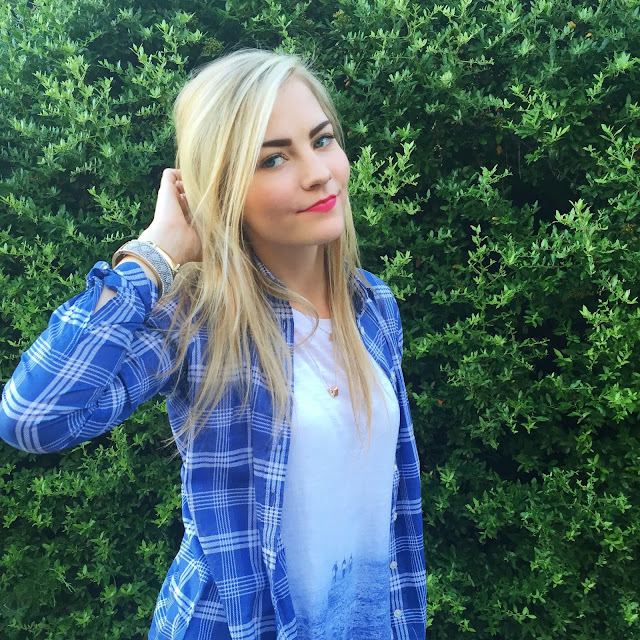 Over time, I was able to slowly convince my mom that I can gradually go blonder and blonder. My mom eventually became so accepting of my desire to express myself through with my hair, that she even let me dye my hair red in 8th grade-- see low-quality picture below. I remember all of my friends thought it was so cool that my mom left me dye my hair and I was always wondering why their mom's didn't let them. Looking back, I was pretty young, but I don't regret a thing! So the whole process of using chemicals to change your hair didn't really start until the 1800s. 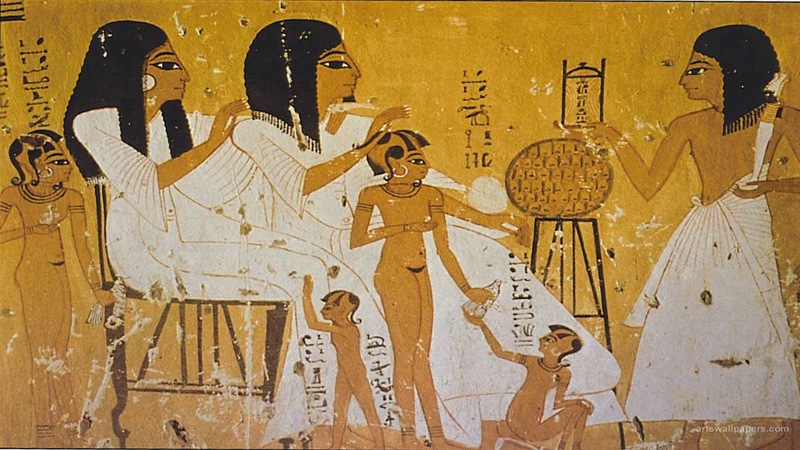 But, before that, like a long time before that, Ancient Egyptians would use natural substances to achieve a certain look. 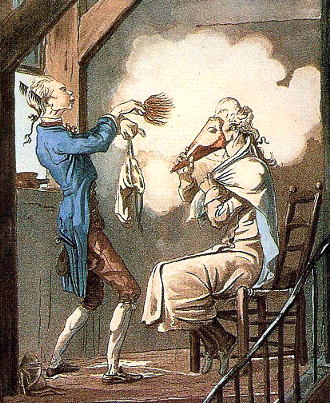 They actually used Henna to darken their hair to cover any grey hairs (yes people even cared about that back then), and would also shave their hair off and make wigs that they could dye with the more dangerous substances. Ancient Greek and Romans used toxic lead to dye their hair for a long time until they realized the damage and changed the dye to a substance that was made from lead fermented leeches (YUCK). Also, during the time of the Ancient Romans, it was required that prostitutes had blonde hair in order to signify that they provided that service. This caused women to use plants to try to temporarily lighten their hair (with ashes from nuts and light plants), or buy blonde wigs made out of naturally blonde hair. So..... maybe I would want to dye my hair black before I go back in time to Rome?? We have all seen the movies where people from the 16th, 17th, and 18th centuries wear white powdered wigs. 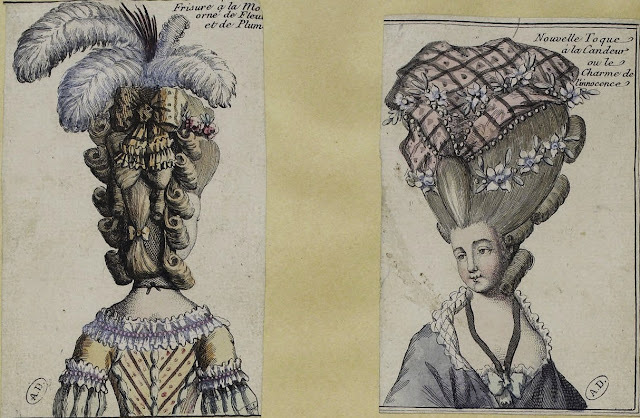 This all started because in 1580, they was a huge outbreak of syphilis (ew) that caused people to have patchy hair that literally required them to wear wigs called Perukes in order to look presentable. These wigs were typically made out of horse hair or human hair (isn't my picture with the horse so fitting now??). Syphilis also caused people to have terrible (and stinky) sores on their skin, and so scented powders like lavender and orange, would help cover any smells. At this point, it was more shameful and not stylish to have a wig (no surprise there). After the King of France started to lose his hair in 1655, the tide turned for wig wearers and it became a fashion statement (and of course the cost of wigs went up!). 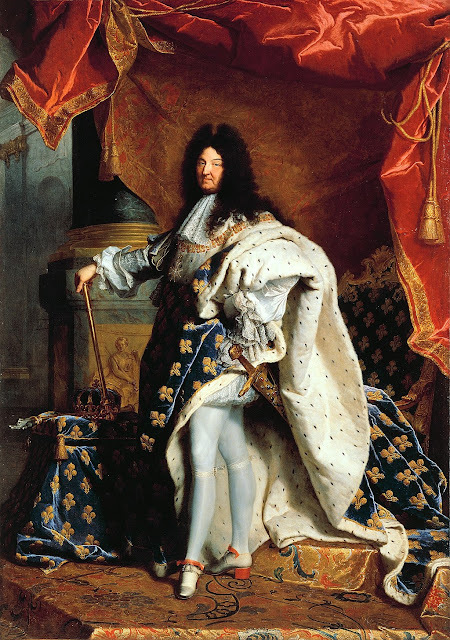 The King wore naturally colored wigs, and women didn't wear wigs for fashion typically but instead added hair to their hair styles to add volume. Ok, back to the hair dyeing. In the 1700s Venice, women would achieve a lighter hair by soaking their hair in lye and sitting out in the sun. This was a toxic and uncomfortable method, but I guess beauty is pain... glad that I can sit in a comfortable chair indoors to achieve my desired look. It wasn't until 1865 when a chemist named William Henry Perkin accidentally discovered the chemical that is still in the hair dye we use today. 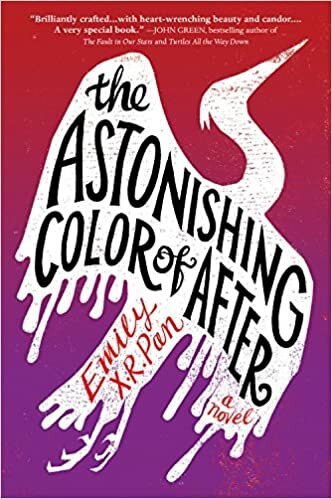 While trying to find a cure for malaria, Perkin accidentally created a mauve hair dye and discovered the color changing chemical para-phenylenediamine, or PPD. 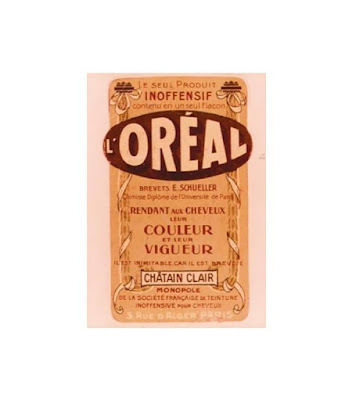 In 1907, the founder of L'Oreal, Eugene Schueller, created the first chemical dye for commercial purposes. 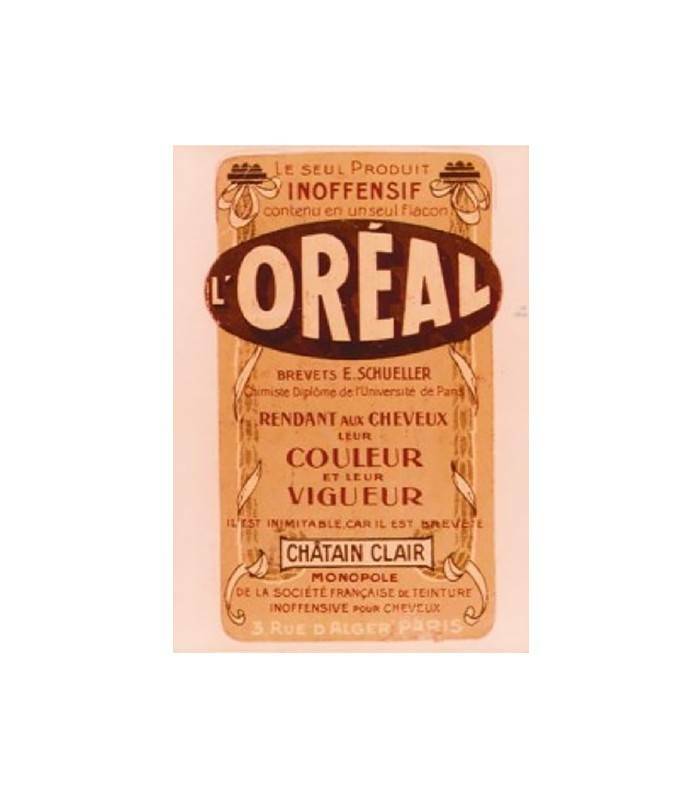 He called it Aureole - later changed to L'Oreal. While this was a great development, women still used bizarre practices to achieve a look and the actress Jean Harlow, in the 1930s, is suspected to have died young due to the dangerous measures she took to have white platinum blonde hair. She used peroxide, ammonia, soap flakes, and Clorox bleach (ouch!). In 1950, they invented the first product that could lighten hair without bleach, and it was still embarrassing for women to dye their hair and the process was rather secretive. 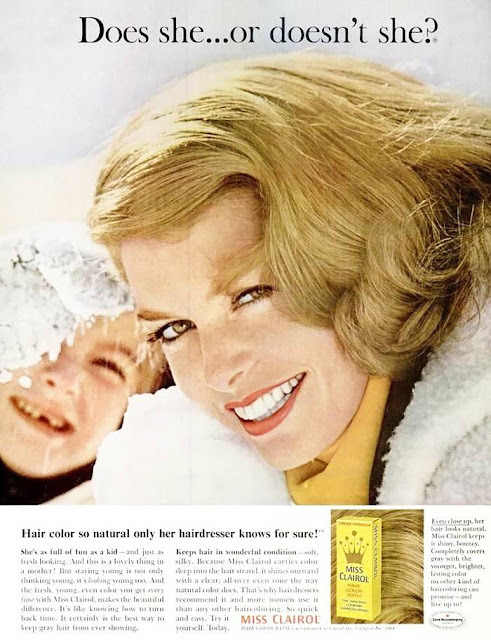 Women would use the product Clariol to dye their hair at home, and the company used the campaign "does she or doesn't she?" to market their natural looking hair dye. It wasn't until 1970s that campaigns changed and made dying your hair a more positive experience. This blog post became wayyyyy longer than I expected. TLDR version can be watched in the video below! I am super glad that hair dyeing is part of my life because I have so much fun doing it. It also helps that my best friend, Susie , does my hair and it is basically like hanging out with a friend for three hours. What do you do for your hair? Is there anything you are itching to try? Let me know in the comments! P.S..... here is like my favorite scene of all time in any movie and I feel like it relates a bit.... OK? My favorite flower has been the poppy for a long time. Ever since I saw Georgia O'Keeffe's poppy painting, I was hooked. Interestingly enough, I learned that Georgia O'Keeffe loved to paint flowers so that people would stop and appreciate them. Her painting did that exact thing to me and made me fall in love with it! The red poppy is beautiful and I love when I find items of clothing with the red poppy on it. In my art history classes, we would talk about the symbolism of flowers and I started to wonder what my favorite flower symbolized. "For Chinese people, the poppy carries a strong historical symbolism of the 19th Century Opium Wars, waged by the British in retaliation for Chinese resistance to trade. The wars devastated China. There were over 20,000 deaths and injuries, and the conflict led to the "Century of Humiliation," in which China became subject to Western imperialism." The choice in wearing poppies was upsetting for some because the theme of the Gala was about China and showed a lack of understanding towards Chinese history. 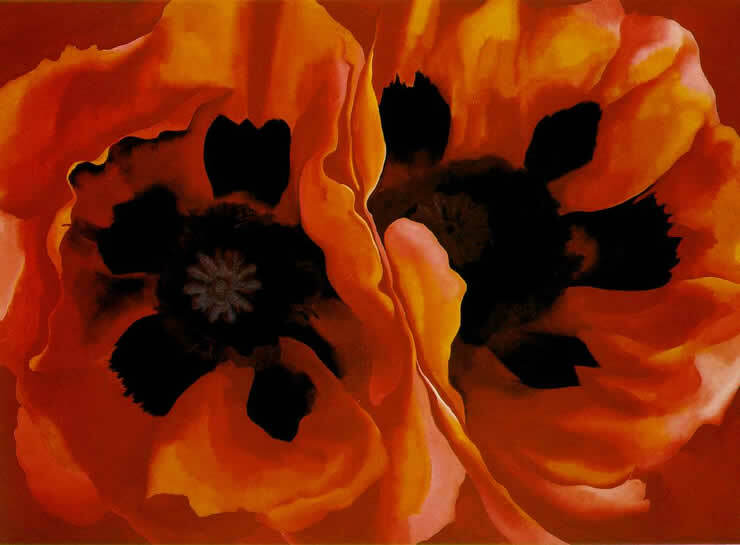 Also, the name of Georgia O'Keeffe's painting Oriental Poppies, shows that the West continued to associated poppies with Asian cultures. 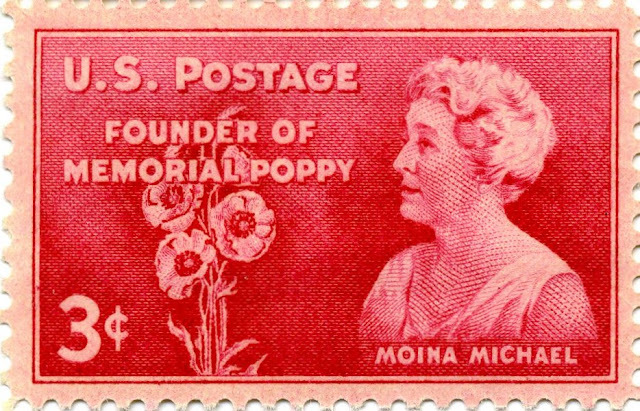 Take up our quarrel with the foe;"
After this poem was spread around, it inspired two women, Moina Michae and Anna Guerin, to produce silk poppies pins for a movement of wearing poppies in remembrance of those who died. The British Legion ordered and sold 9 million of the poppies and raised 100K to help veterans with employment and housing. They still produce poppy pins for the cause today. Also, after the war the even made poppy pins out of the metal from artillery shells on the battlefields! Pretty crazy! 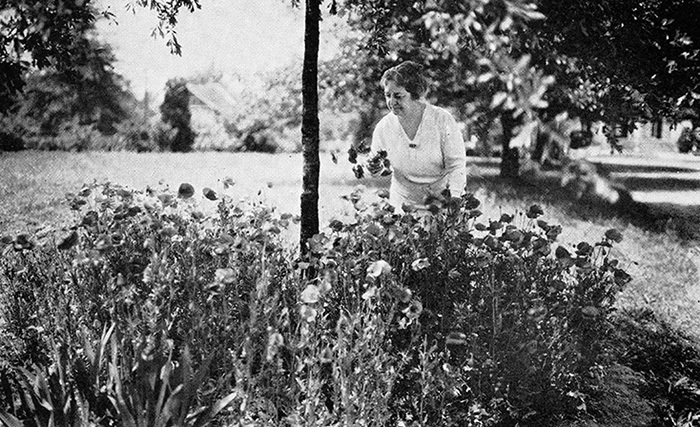 Moina Michael with poppies she planted. As someone who has lost a few family members, it was interesting to learn that my favorite flower is so closely associated with remembrance. What is your favorite flower? I bet it has some special symbolism! Awhile ago, I had an amazing trip to Hawaii, and while in Hawaii I basically lived in a swimsuit, and so I am going to talk about the history of the swimsuit today. I actually was introduced to this idea because I had seen a podcast on the instagram called @dressed_podcast and I was instantly intrigued by the idea. So the information that I am sharing today will be coming from what I learned from listening to these two particular podcasts by them. To start out, according to the podcast, the first bikini depicted on a floor mosaic from ancient Rome. The woman in this are not going to swim, according to this article, but instead are exercising. After the fall of the Roman empire, though, you don't see swimsuits anymore because modesty was very important people didn't typically bath or swim for recreation. So from here, there is a big gap in swimsuit use all the way to the 19th century. Starting in the 19th century, swimsuits became necessary due to the introduction of the railroad system. This allowed people to travel to the coasts easier and introduced more recreational swimming. Although swimming became more popular, people were still not ready to see women in a swimsuit like you see me in the photo below. Instead, they were very concerned about women showing too much skin and wanted to preserve their modesty. Consequently, women had to wear an outfit that covered everything and was rather baggy. The fabric that they used was heavy and would insure that the clothes didn't rise too much when they were in the water. Along with very restrictive swimwear, men also didn't want women to walk into the water in the "swimsuit". This would allow them to be visible and so they created a contraption to wheel them into the water, as seen above. This allowed the women to change and then enter the water without showing themselves too much outside of the water. Such great lengths to cover the bottoms of her legs! Overtime, the long sleeved top and bloomer bottoms were replaced with a shorter sleeves and tights. Still, the swimming suits would weigh up to 30 lbs when wet, and swimsuits were still made of wool and cotton at this time. Eventually though, women were able to negotiate the ability to wear the knit style of swimsuit that men wore and that changed things for them drastically in the early 1900s. Unsurprisingly, there were still rules to insure women were properly covered up and women often were arrested for indecency if they didn't follow the rules of what was deemed appropriate for swimsuits. Here, an officer is measuring the women's swimsuit to insure that she isn't breaking any rules in 1922. And, around this time high-end fashion decided to finally take part in the development of swimsuits and started to create swimsuits that resemble the ones we wear today. 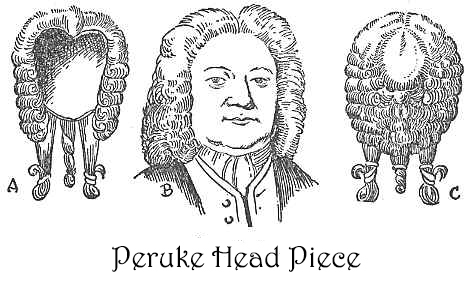 Leading up to World War II, two pieces gained popularity. They still had to be modest and cover the belly button. I actually love the high waist bikinis and that is what I wear most of the time. Below, you can see a photo of Marilyn Monroe showing off the popular look. After the War, swimsuits changed a lot more and women started to push the limits of bikinis. In the 60s, swimsuits had beautiful vibrant colors and fun patterns. It is fun to look at the styles they chose during that time. After the introduction of the bikini, swimsuits just took off and women were free to wear what they wanted. They have come long way since the mid 19th century and it is fun to see women express themselves through their swimsuits. Thanks for reading! What did you think? Are you so grateful that you don't have to wear wool when you swim?? I am! Shout out to women in history for making changes! My husband is a huge cyclist. He rides road, cyclocross, and mountain bikes. Our garage is overrun by bikes and he is constantly looking for new bikes. When we started dating, we would ride together because I was preparing for the Bike MS ride in honor of my mother who passed away from MS when I was 16. Michael has taken his love for cycling and races and has even created a team called Team Feral Catz. His team has a great cause and uses this team to support the MS Society, which I think is amazing. Check out his instagram and his website is coming up soon! I got a relationship with bikes, as you can see, and so today I was looking at photos from our last ride and was wondering when women first started to ride bikes. I always wonder when women were allowed to do things because you wouldn't believe all the ridiculous rules women have had to follow in the past. I was looking online and found this great article and thought it was so interesting, here is a link. Let's get into it, shall we? During the 1890s, the women's suffragette movement and the cycling craze became rather intertwined. Susan B Anthony, a huge figure in the suffragette movement, even said that bicycles had "done more to emancipate women than anything else in the world." Once the Safety bike was introduced in the 70s, women were able to ride bikes much easier. This opened up a new opportunity for women and started to turn the wheels for their independence. The Safety bike was met a much needed demand for women friendly bikes and it was marketed as the bike for everyone. "“The safety bicycle fills a much-needed want for women in any station of life,” said The Bearings, a cycling periodical, in October, 1894, “It knows no class distinction, is within reach of all, and rich and poor alike have the opportunity of enjoying this popular and healthful exercise.”" When women started to ride bikes, they were able to explore more opportunities for themselves. They didn't have to depend on others for the transportation and would be able to access larger areas - which provided new work opportunities for them. This also allowed them to participate in the suffragette movement and it helped introduce the idea of the New Woman who wasn't constrained by constructs of society and the bicycle helped them be seen more equally to men. Along with the helping women be more independent, bicycles helped women to achieve more comfortable fashion. Since they were unable to easily wear their normal clothing on bikes, which usually consisted of a corsets, heavy petticoats, and large multi-layer skirts. Now just compare what I am wearing to what she had to wear... we've come a long way! Along with changing fashion, cycling helped change the perceptions of women. It changed people's views on femininity and on what was deemed proper for women to do. So, there is more than to the bike than just an object for exercise. The bike was tool for women and now I appreciate my bike even more knowing that it was a symbol of progress for the suffragette women. Also... one more thing on bikes! This is a piece of artwork that I enjoy, that has a bike in it! This is Ramon Casa and Pere Romeu on a Tandem 1897 by Ramon Casas. Bikes were actually used a lot in Spanish Modernism to show movement and they used biked to critique current fashion and propriety. Bikes were also loved by the Dadaists. They loved the way bicycles showed movement and loved bike culture. Duchamp was obsessed with the bicycle wheel, he was a strange guy haha. Thx for reading! Do you like this kind of content? Let me know in the comments!